We all have settled and agreed that customers are the kings. According to Forrester research, 7 out of 10 people first read customers’ reviews on the internet before they make a purchase. So you have to impress not only your potential customers but also your existing customers. Most companies offer email address, phone numbers, online chats and the good old communication address for communication with customers and wait for the customers to break the ice. But how many people do you know sit down with a pen and paper to say how good or bad your product is. The same goes for email and calls. So all your communication methods are basically like one way lane, where you rely solely on your customer to communicate. The best way to communicate with your customers is to initiate a conversation. You need to break the ice. Send emails or newsletters, it’s free and what’s more, it has a better recall value than advertising. If you think it is too much work, Docsvault’s email automation feature will help you create, send, archive and basically make it easy to communicate with your customers on one on one basis. Docsvault’s Email Automation add-on offers Auto Emailing, which allows you to send out predefined emails or auto replies based on email rules. So whether you want to send a monthly newsletter, a welcome letter or want to remind about annual maintenance, you just leave it to Docsvault. You can generate rules based on index values, include attachments and send out bulk personalized emails to customers on preset dates for auto email sending. Once you break the ice, your customers may drop in an occasional recommendation or suggest a new feature or simply talk about the problems in your product. Channelize this information through email capture. 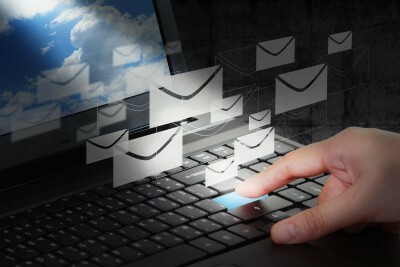 Docsvault’s Automated Email Capture is a smart way to capture, organize and index email communications and attachments. It allows you to capture emails and store them in relevant folders. Email indexing will allow you to file emails to proper folders, so you can take prompt action on them. Let’s say a customer has sent a problem they are facing with your product. With Docsvault you don’t have to sift through the masses of emails, you simply open the relevant folder, resolve their issue and you are done! Great word of mouth publicity guaranteed. Auto email archiving is a great way to store important emails that you may need later. From customer suggestions to product failures, your company’s research team can use this vital information to offer a better product. Besides, email archiving is also a great e-discovery tool. Besides these features, Docsvault offers a host of other communication and document management features that allow prompt response to customers. Call us on 888.819.3035 or leave us a message on sales@docsvault.com.